We work directly with our customers to analyze and understand the application needs and requirements, and to offer our expertise and experience to help provide practical insights. We explore the latest proven and trusted technologies to make sure each client’s system fits their current needs yet is flexible enough to adapt to future changes. From the very beginning of the project, clients are partnered with one of our experienced team members who will guide them through the entire process, from start to finish. Our custom design team explores various technologies with clients to ensure that the system we build utilizes the most effective and efficient technology available. We believe that an integral part of a successful project is having a well-devised project plan. Having a clearly defined scope and setting project milestone dates are key components to delivering results within the desired time frame of the project. Maintaining communication throughout the life of the project and discussing any concerns as they arise is how we have been able to exceed our customers' expectations for more than four decades. Our goal is not to reinvent the wheel, we are expert integrators of proven technologies into a solution that is truly custom and that exceeds our customers expectations. We partner with only the most trusted automation suppliers in the industry to deliver unsurpassed quality with each system that we build. Our customers determine the size of the project, not us. We have worked with customers on projects still in the Research & Development phase, creating prototypes and small fixtures to prove a concept and also capital projects whose scope involves every stage from design & fabrication to validation & packaging. No project is too small or too large when combining R+D's breadth of experience and industry knowledge. We ensure quality and integrity with every project we commit to because we design, assemble, program, and debug completely in-house. Our in-house machine shop fabricates ninety percent of the work that we do, and we only contract third party vendors to build large machine frames. Our expansive capabilities, from building custom fixtures and prototypes to fully automated and integrated systems, enable us to serve clients in key industries, including medical, pharmaceutical, consumer goods, and biotechnology. Our systems can be found across the United States, as well as in Latin America, United Kingdom, Japan, Canada and many other countries throughout the world. This critical step is controlled and performed completely in-house by our experienced staff of assemblers. A complete and rigorous operational testing is completed before equipment is shipped and installed to guarantee each system meets the quality and performance specifications set by the client. Through our continuing customer service and support program, the R+D team stays in contact with clients after the systems are installed and operating. We offer a real time monitoring system to monitor the efficiency and performance of each system so that clients are confident that their systems are maximizing productivity. 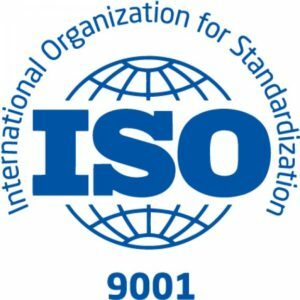 ISO certification provides our clients with the exceptional quality and efficiency they’ve come to expect from R+D Custom Automation. This certification represents our commitment to continuous improvement through a strong and effective quality management system.